Dad’s, the unsung heroes of our childhood, someone to always look up to and there to catch you when you fall. Only a Father can give you tough love and make you laugh in the same sentence! Father’s Day is quickly approaching and you don’t want to be left empty handed. 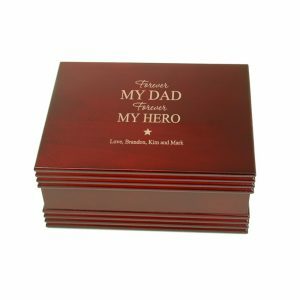 Show him how much you appreciate everything he has done over the years with a special and thoughtful gift personalized for him! This exquisite crystal and gold plaque makes a classic and stately gift for any gentleman! Engraved with a heartfelt poem and a sweet message, this is sure to bring a smile to his face. Adorned with gold accents and constructed of optic crystal, this is something he will proudly display for years to come! 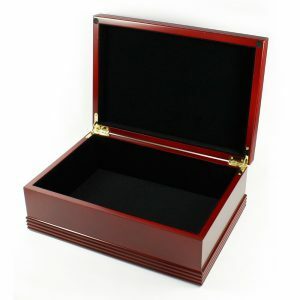 Help keep your father organized with this simple and elegant rosewood box. Engraved with the sweet sentiment “Forever my Dad, Forever my Hero”, this is sure to make him smile every time he uses it. This valet is the perfect size for photos and keepsake and for every day odds and ends. Add a thoughtful message to truly make this a special gift that he will use every day! Decorate his man cave or garage with a personalized sign! Personalize with his name and special date to truly make it a special gift. 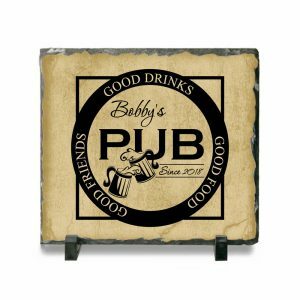 Featuring beer mugs and the words “Good Drinks, Good Friends and Good Food” this plaque is sure to be displayed proudly. The slate stone finish is sure to match any décor and looks great on any shelf or bar-top. 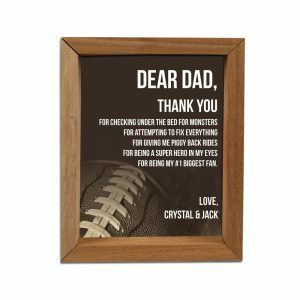 This letter to dad personalize shadow box makes the perfect gift for any sentimental father! Featuring a sweet letter of thanks to your dad, for everything he has done for you over the years. 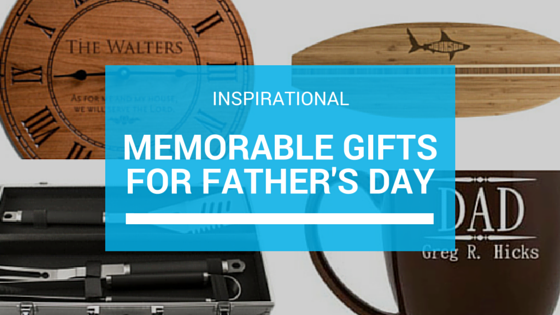 Constructed of Andiroba Mahogany and featuring a sports motif, this makes the perfect gift for any dad. The Best Dad Ever deserves some recognition for all of his hard work and love! 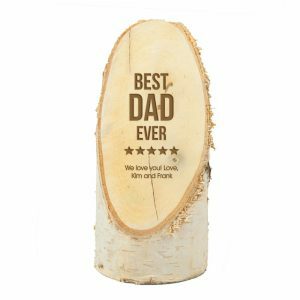 Award you Father with this personalized “Best Dad Ever” birch wood plaque. 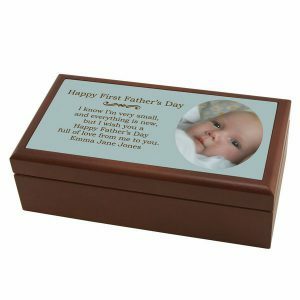 Featuring the words “Best Dad Ever” and adorned with starts, this engraved free standing plaque is sure to match any home décor and will be displayed with love and pride. Every Dad is a self-proclaimed grill master! 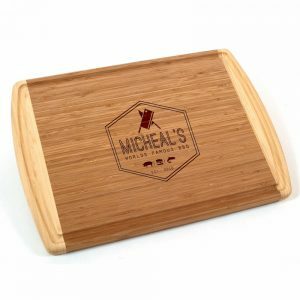 Help him channel the inner pit boss with a personalized cutting board specially made for him. Featuring master cutlery and the standard, surf and turf icons, this cutting board is sure to impress! With the classic design and the functional drip trough around the edge, he is sure to use this for years to come! Father’s Day is a special day to show your dad or fathers figures in your life how much you care and appreciate them. Surprise him with a special and thoughtful personalized gift, something made just for him. Order now with Father’s Day shipping and get your gift right in time for the special day! How do you celebrate the fathers and father figures in your life? What are your family traditions for this special day? Dad’s, the unsung heroes of every child’s life. There to teach you how to ride a bike and pick you up after your first fall. There to support whatever extra curricular activity you decided to try and encouraged you to continue when you wanted to quit. Having a child can totally change a man, making them vulnerable, protective and sensitive. Celebrate everything your Dad or has done for you over the years this Father’s Day with a heartfelt and thoughtful gift. Whether your dad likes to cook, adventure or just relax, we have the perfect gifts for every type of Dad. For the self proclaimed Grill Master or Master Chef, any personalized cookware is greatly appreciated. 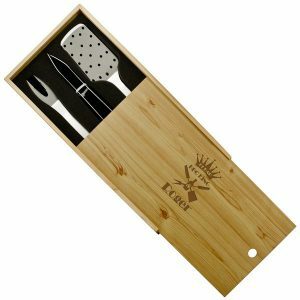 Try a custom engraved BBQ Grill Set that he will be sure to show off every time he grills. 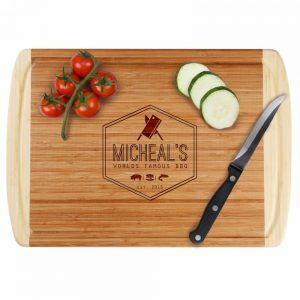 Compliment his exceptional butchering skills (even if they aren’t that great) with a personalized Premium Cuts Cutting Board. Give him a special place to stash his secret spices or special rubs with this engraved Triple Tiered Spice Box. For the outdoors men anything can turn into an exciting adventure. 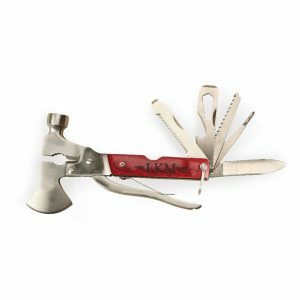 Equip him with a personalized Pocket Knife Or Utility Knife perfect for hunting, fishing or just day to day activities. Help him celebrate the hunt with an engraved Trout or Stag Stein. Give him a place to keep all of his special photos and memories of the adventures you have taken together with this modern wood Adventure Photo Album. Every man has a dream of a perfect Man Cave away from all the stresses and responsibilities of life. Some where they can relax and kick back with friends just for a bit before they snap back to reality. 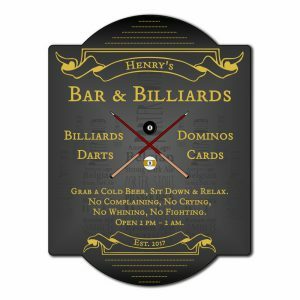 Help deck out their man cave with a personalized bar wall sign or a custom wall clock. No proper man cave can be without the classic games like backgammon or cards and a custom domino set. Celebrate your Dad this Father’s day with a personalized or custom gift that he will treasure forever. Show him your appreciation for everything he has done over the years and will continue to do for you. Whatever your dad is into, he will love whatever you decide to gift him just because it came from you. 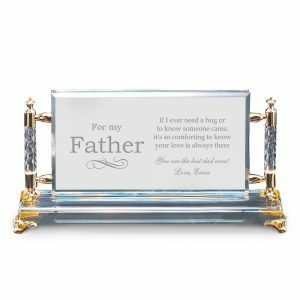 Father’s Day is on June 21st and MemorableGifts.com wants to give your Dad an extra special Father’s Day Gift this year. To enter the Father’s Day giveaway leave a blog post comment telling us your favorite gift for Dad on Memorable Gifts website. The winner will receive $100.00 gift certificate from MemorableGifts.com, deadline for entry is June 21, 2015. There are a lot of entries to choose from so take your pick… or do them all! And don’t forget that we also have daily entries, so bookmark this page and come back everyday. The winner will be contacted on June 22nd via email and has 48 hours to respond or another winner will be drawn. Happy Father’s day!